Yes, you can stack them if you find a place where all six apply! 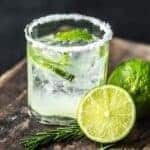 And, they’re all passive programs – once you sign up, you have to do little or nothing to get your rewards at local restaurants; no clipping coupons or doing all sorts of work beforehand. So let me step back a moment; I got too excited! 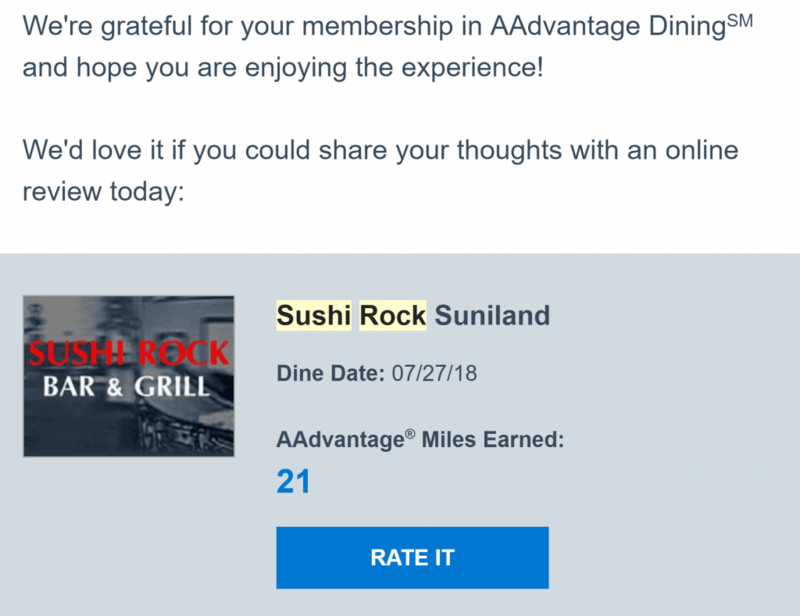 What I’m talking about are dining rewards programs which are free, and which give you some sort of reward (whether it be airline miles or some kind of points) when you dine at local restaurants. The ones I’m about to mention are all independent of each other, meaning you should be able to combine and stack them. 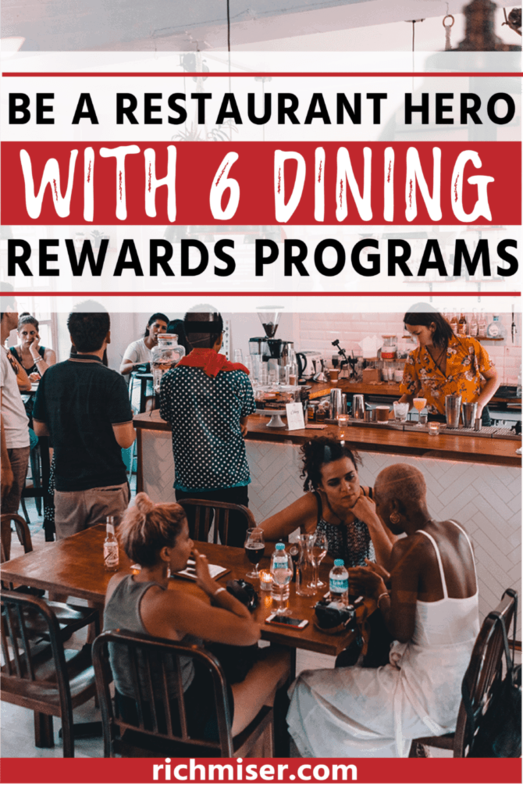 That means that if you find a local restaurant that accepts all six, you could potentially get rewards with six simultaneous programs for one lunch or dinner! Rewards Network is like an umbrella entity that runs rewards programs for many companies, including major airlines. All you have to do is (a) sign up, (b) link the credit card that you use to pay for your meals, (c) choose your rewards, and (d) dine as usual. Nothing more. 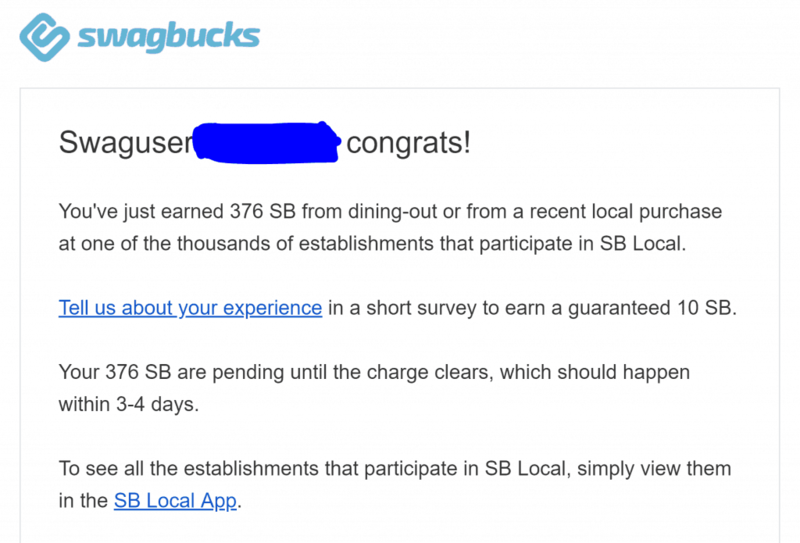 If you happen to pay at a participating restaurant, you’ll get an e-mail at some point letting you know you got rewards. That’s all there is to it. 21 free airline miles. 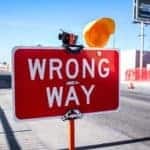 There’s a secondary benefit in that the miles activity should help keep your miles from expiring in some airline loyalty programs that have expiring miles. This is just the rewards that you get from any rewards credit card. One good choice is the Uber Visa credit card, which gives you 4% back on dining, with no annual fee. Visa Local Offers is tied to Uber, and works as follows: “[m]ake purchases at local shops and restaurants with an eligible Visa card on your Uber account, and you’ll earn Uber credits automatically.” I signed up within the Uber app, and it took about 10 seconds; all I had to do was link my Visa credit card. 20% back at Pei Wei? Bring on the Kung Pao Chicken! If you’re dining at a local restaurant that accepts OpenTable reservations, you can earn OpenTable rewards just for making and honoring bookings. Whether you’re going for fine dining or just a casual meal, you can get a quick reward by making an OpenTable reservation. If you’re a bit commitment-phobic, just make it in the car on the way over. Some restaurants (like Pei Wei and other national chains) have their own loyalty programs. If you luck out with such a place, you can earn additional rewards by registering your account when you visit. Unless you’re paying in cash at a beach bar, you’ll always get at least some rewards by using your credit card. What really gets me excited is the ability to stack these programs. For example, just by looking at the 20% offer for Pei Wei with Visa Local Offers, if I ate there and paid with the Uber credit card, I would get at least 24% back (20% from the Offer plus 4% from the credit card), plus the rewards from the Pei Wei loyalty program (My Wei Rewards). Frequently, I’ll find a place where I can stack four programs. 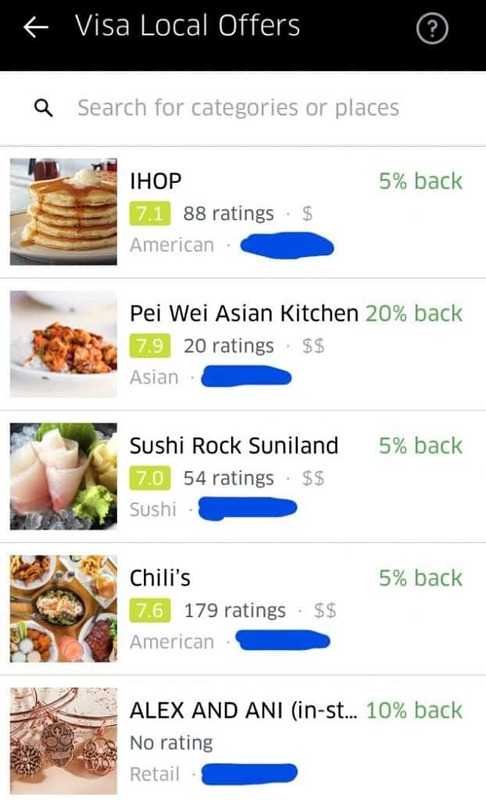 For instance, the Sushi Rock restaurant I mentioned previously participates in Swagbucks Local, Rewards Network, and Visa Local Offers. Combined with the points from my credit card, that’s quadruple rewards! If you have an American Express card, you probably have access to Amex Offers. These are limited-time offers that you can sign up for via the Amex website or mobile app, and that give you some sort of reward when you use the card at a participating merchant, which can be a restaurant. For example, I’m seeing one now for a place called SuViche, which will give me $5 back if I spend $20 or more. 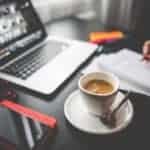 Amex Offers are a bit more of a hassle to use than the other programs, because you have to watch for the offers and then sign up for each individually, making them easy to miss. Also, since they’re tied to Amex, they’re obviously not stackable with Visa Local Offers. Still, they can be quite lucrative; for instance, I have one for hotels that gives me $50 back if I spend $250. So while they might not be as easy to use as the fully passive programs, they’re definitely worth checking out from time to time. 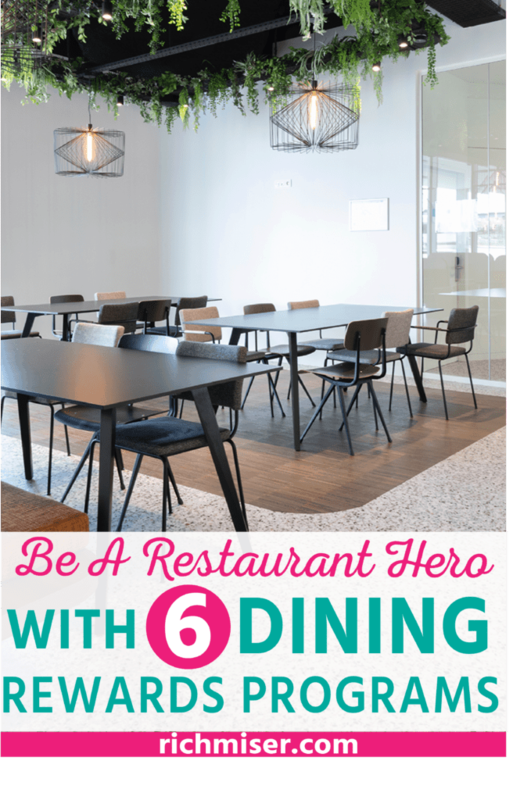 Take a few minutes and sign up for some dining rewards programs. These are all free, and require essentially no effort on your part. It’s basically free money! 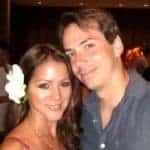 Do you use rewards programs at your local restaurants? What are your favorite?